Image Comics has had a stellar year so far, but it's not over yet. 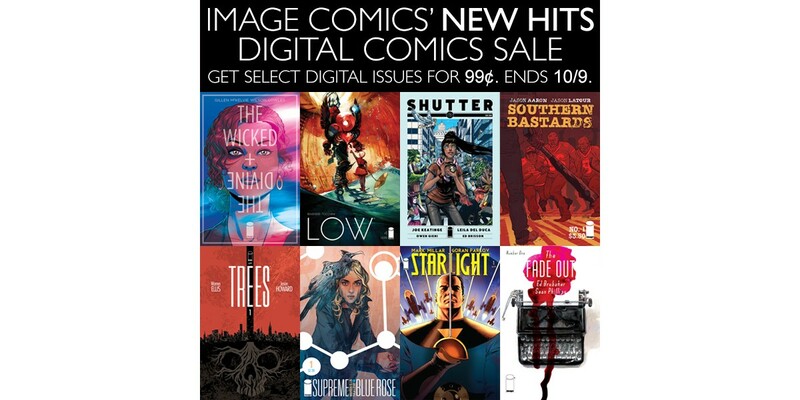 In celebration of NYCC and our amazing new creator-owned comics, we are offering select digital issues of new series for 99 cents. Now's the time to jump in to amazing new series like Kieron Gillen and Jamie McKelvie's THE WICKED + THE DIVINE, Ed Brubaker and Sean Phillips' THE FADE OUT, Warren Ellis' TREES and SUPREME: BLUE ROSE, Mark Millar's MPH and STARLIGHT, Rick Remender's LOW, and many more. See complete list of discounted issues below. Sale ends 11:59pm PST on 10/9.